Sorry for the lack of posting after Labor Day Weekend- things have been busy around here as of late! 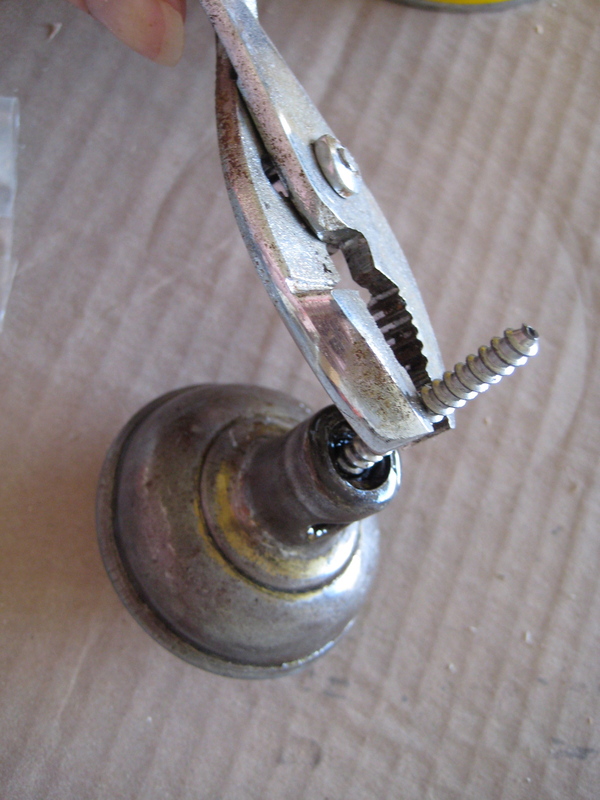 Just a quick DIY for you today. Do you remember back when I mentioned our old house was the gift that kept on giving? Well it's still giving two years later and we don't even live there anymore! 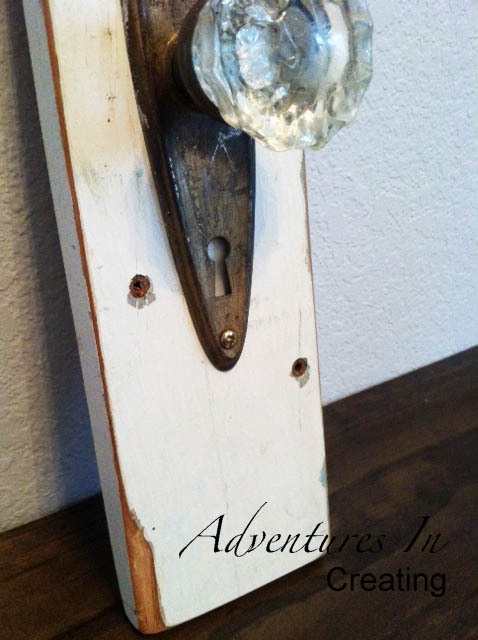 I had saved several old door knobs from our 1930's house and brought them with us when we moved. I already used most of them but still had the glass one left to make something out of. Pretty simple but I like the contrast of the glass and the old salvaged wood. 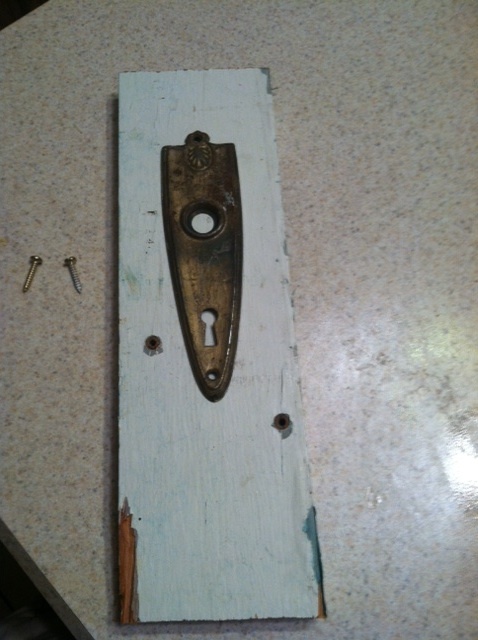 The wood is left over from my Pallet Texas, the knob and key hole from our old home. 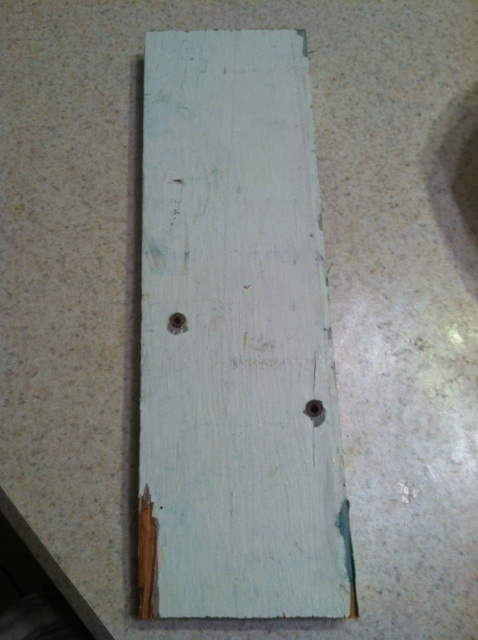 I just cut some wood down to size, sanded, screwed the key hole on, then predrilled a hole to screw my door knob into. Simple and effective! Have you created anything for free lately? 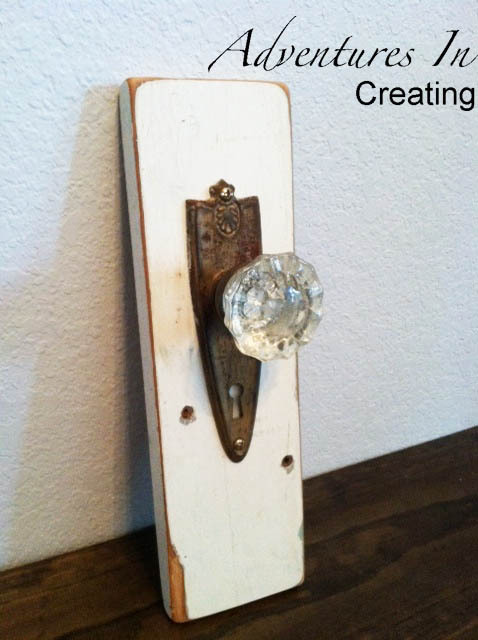 I just love old glass handles - most of the homes I've lived in have had them ( all ancient homes lol ) what a great idea to put them on back plates they look gorgeous!!! I can't believe how simple this was yet how elegant it is. Good job Rachelle! I was reading about your family reunion. That's incredible that it happens every year! Sounds like a lot of fun! 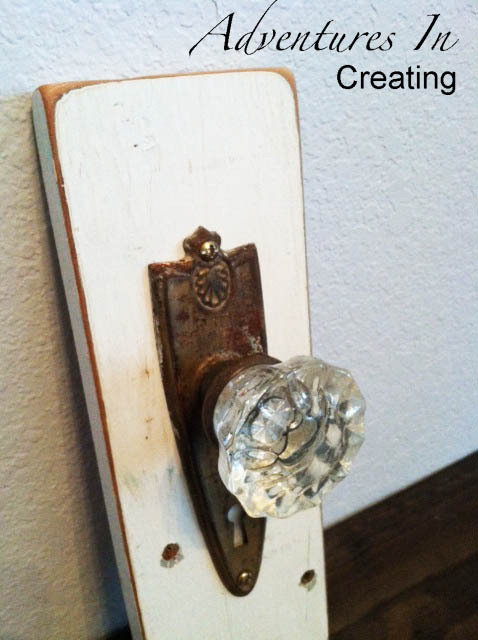 Great idea for a glass door knob and back plate. I've been reading your blog backwards, Enjoyable.